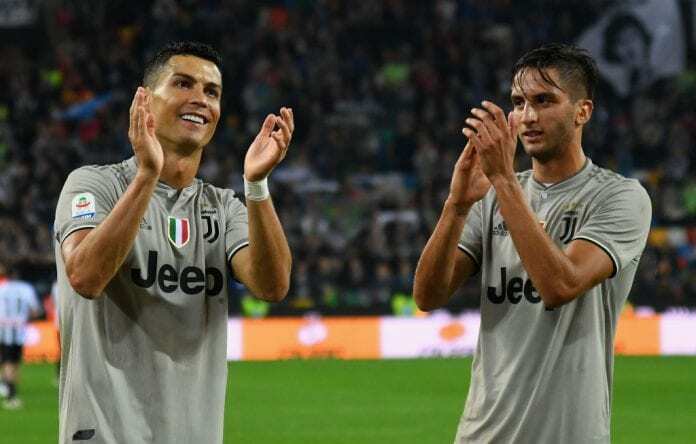 Rodrigo Bentancur is still basking in the euphoria of his debut goal after his effort helped Juventus to a 2-0 win away to Udinese. The Uruguay international fired the Bianconneris to the lead at the Dacia Arena before Cristiano Ronaldo sealed the scoreline. “It’s the game the Coach wanted to see and we’re very happy,” Bentancur told Football Italia. This means the Bianconeri have won all 10 competitive games between Serie A and the Champions League. Allegri equally spoke highly of the Uruguayan after his impressive performance in the game. “Rodrigo Bentancur impressed me in midfield, both tactically and technically, then, of course, he scored the goal. I think above all, we are not too hasty, but move the ball around quickly and all over the field to make the most of the great technical qualities at our disposal.